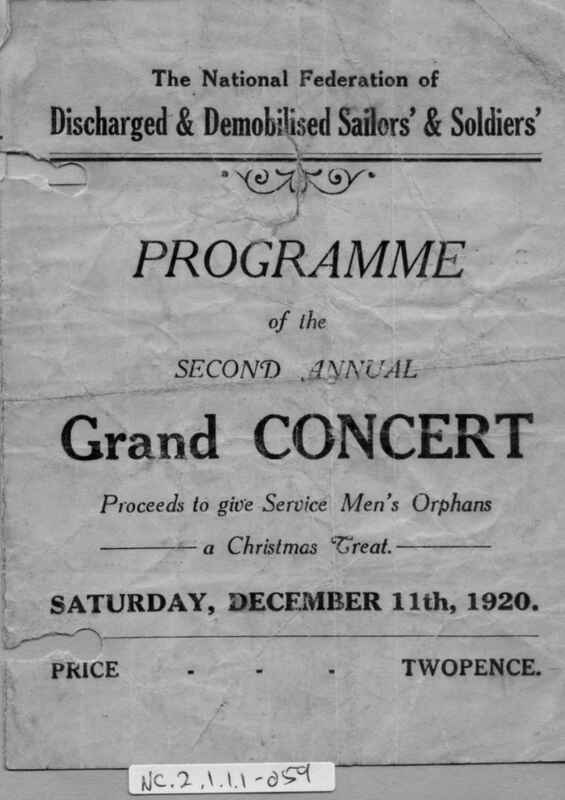 Full Description: A small programme of "The Second Annual Grand Concert" for The National Federation of Discharged & Demobilised Sailors and Soldiers, dated Sat Dec 11th 1920. 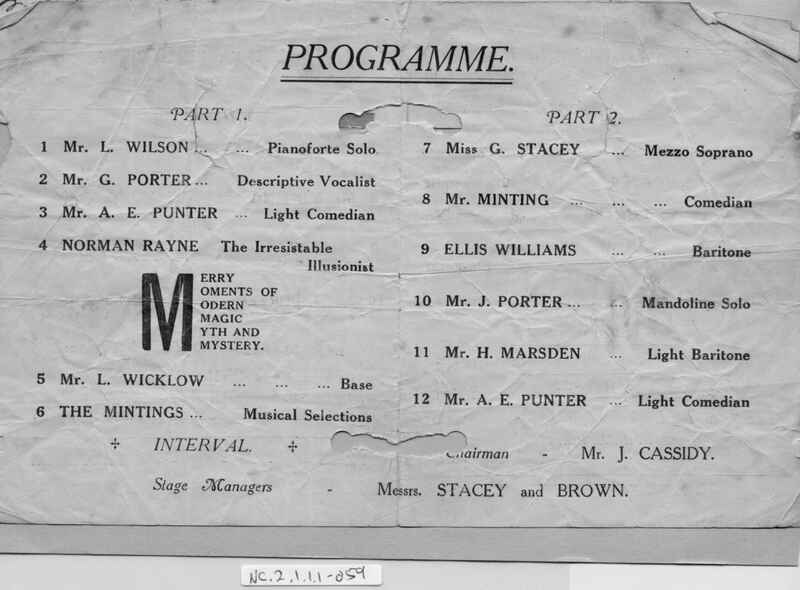 Harry Minting (born 1908) would have been just 12 years old - the programme lists as Item 6 "The Mintings - Musical Selections" and as Item 8 "Mr Minting - Comedian". 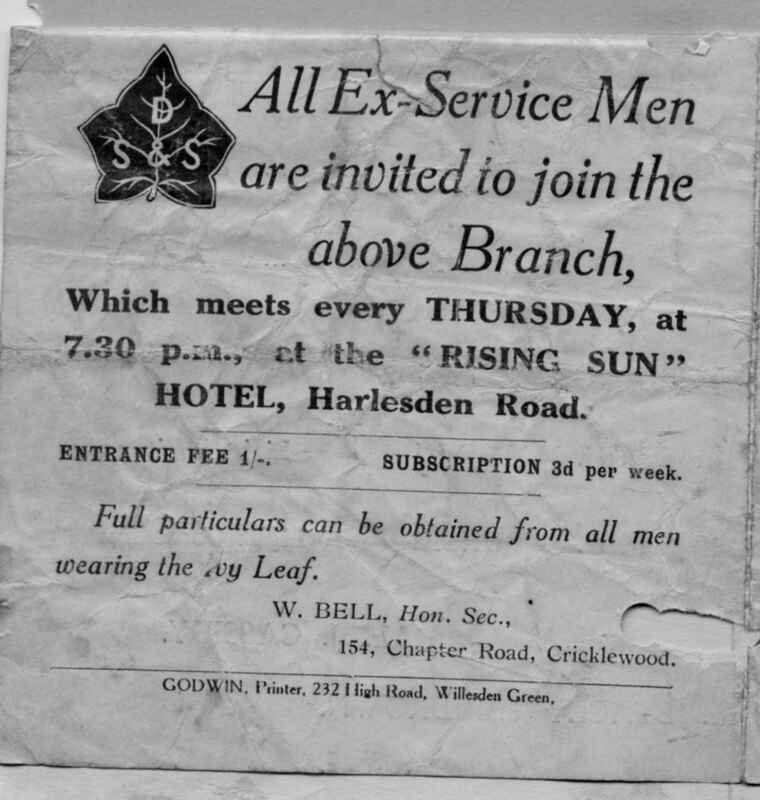 However, Harry had been receiving concertina lessons from Chas Rutterford since he was 10 years old, (see Item NC.2.1.1.1-058 ) so may have played at this event.